It’s Pitt athletic director Heather Lyke’s birthday today, and despite our long and fruitful relationship, I was not invited to the party, and thus am not out buying a last-minute gift, as is my usual pre-birthday party routine. But I did take a moment to think about what Heather might, ahem, like as a birthday gift, and once I came up with the list, I became pretty thankful that I wasn’t invited, because this seems like a tough list to shop from. Pitt’s 2018 football season did not get off to a fantastic start, with the Panthers getting blown out by rival Penn State, losing an ugly game at North Carolina and another blowout at the hands of UCF. At that point, the seven-year extension Lyke gave Narduzzi following 2017’s 5-7 season seemed unwise if not completely untenable. But the Panthers have looked better the last two games and at 2-1 with five ACC games remaining, still have as good a shot as almost anyone in the wide-open ACC Coastal. If Pitt can at least find its way into a bowl game, that would go a long way toward taking some of the heat off Lyke for giving Narduzzi such a lengthy extension. As the college basketball corruption trial continues in New York this week, every athletic director in the country is probably holding their breath that their school or coach doesn’t get named in someone’s testimony. 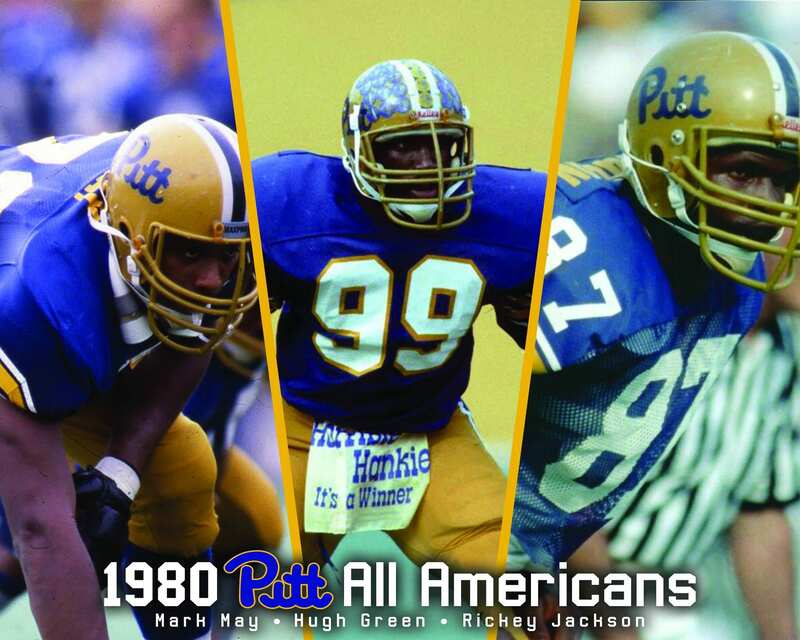 But Pitt ought to feel pretty good about the way the Panthers have gone about things in the past. By all accounts, Jamie Dixon ran a program that was clean to a fault and there’s just no way given the results that Kevin Stallings and company were paying big money for recruits. However, new Pitt coach Jeff Capel spent the last seven years at Duke, and while he was there, the Blue Devils got more blue-chip recruits than just about anyone in the country. This week, star freshman forward Zion Williamson’s name was mentioned in evidence, that while not admitted into the official record of the trial, was damning nonetheless. From the transcript of a wiretapped conversation between Adidas consultant Merl Code, Jr., and Kansas assistant Kurtis Townsend, a list of what Williamson’s stepfather was asking for in exchange for the commitment of his prodigal stepson. “[Williamson’s stepfather] is asking for opportunities from an occupational perspective, he’s asking for cash in the pocket and he’s asking for housing for him and his family,” Code said, according to the transcript, which was obtained by Yahoo Sports. Capel was Duke’s lead recruiter for Williamson, to the point that the five-star prospect had to announce that he was sticking with Duke even after Capel was hired at Pitt. There’s almost no way that anything untoward happened at Duke with regard to Williamson without Capel’s knowledge of it. Did anything untoward happen at Duke? That remains to be seen. As of right now, it looks like the worst case scenario for the Blue Devils is that Williamson could be ruled ineligible for entering negotiations with Kansas. But that could change as the trial continues. Lyke has been committed to raising the profile — and expectations — for Pitt’s other 17 sports teams besides football and men’s basketball. It’s what has sparked her plans for the “Victory Heights” area of campus with new facilities for gymnastics, volleyball, wrestling and track and field and her prolific new hires in a half-dozen sports. If there’s one team right now that is embodying comprehensive excellence, it’s Pitt’s volleyball team. The 20-0 Panthers are on a historic run, the best stretch for Pitt since the late 1980s and are well on their way to what could be a magic season. But Pitt’s place in the postseason is far from secure. Despite being one of two unbeaten teams, the Panthers are ranked No. 6 in the country, which should secure them a home weekend in the first and second rounds of the NCAA Tournament, but a loss or two down the stretch could upset those ideas, and the Panthers don’t have many high-profile matches left, so it’ll be tough to offset a bad loss. Now like I said, that may be asking for a lot, but I don’t think anyone would argue that getting those three things would really help Heather celebrate her big day. But I’m glad I’m not scouring the shelves for those things. They could be tough to come by, and well, I don’t want to end up on the wrong side of one of those NCAA investigations. So while I don’t have a gift to offer, I will still wish Heather a very happy birthday. I hope she gets everything on her list.